Gold: XAUUSD trading lower this morning in European hours after the weakness see on Friday. 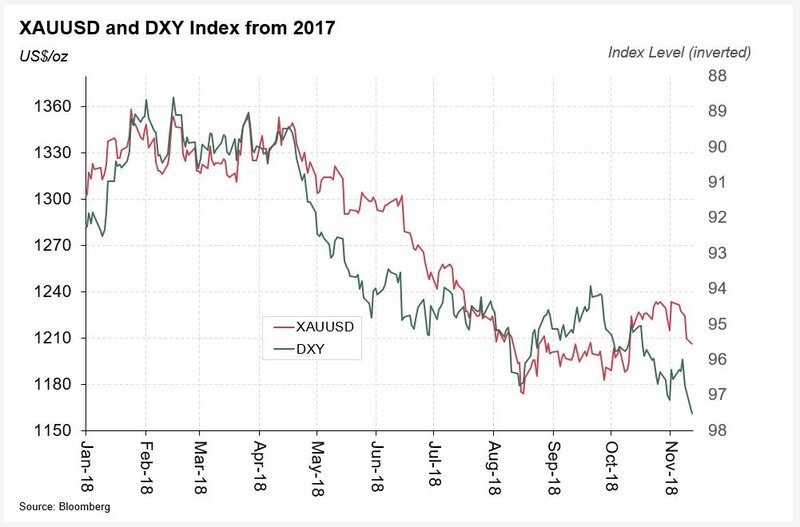 Most of the weakness seems to be due to a stronger USD; #gold is up in euro and roughly flat in CNY but DXY is at more than a one-year high. Gold: We noted last week that a ‘gap’ had opened on our gold vs DXY chart. That hasn’t closed as such, but the strength in the dollar is dragging #gold lower. 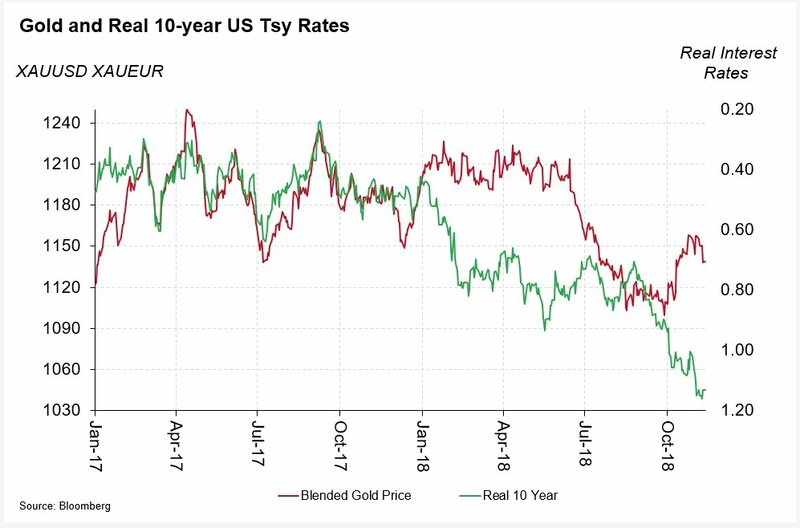 Real US Treasury rates haven’t moved much in the past few days, but despite the move lower in #gold the gap that we’ve mentioned on a few occasions in the past month is still there. 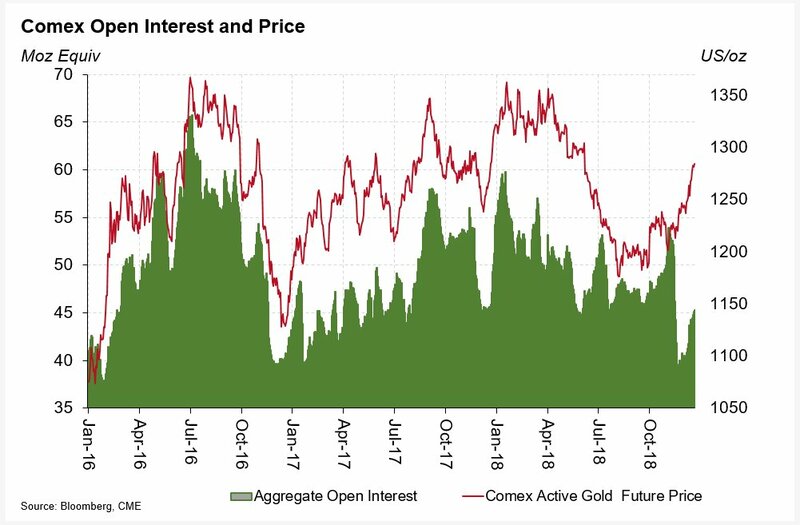 Gold: COTR data, released Friday showed little change in speculative #gold positions held on the Comex futures market in the week to last Tuesday. 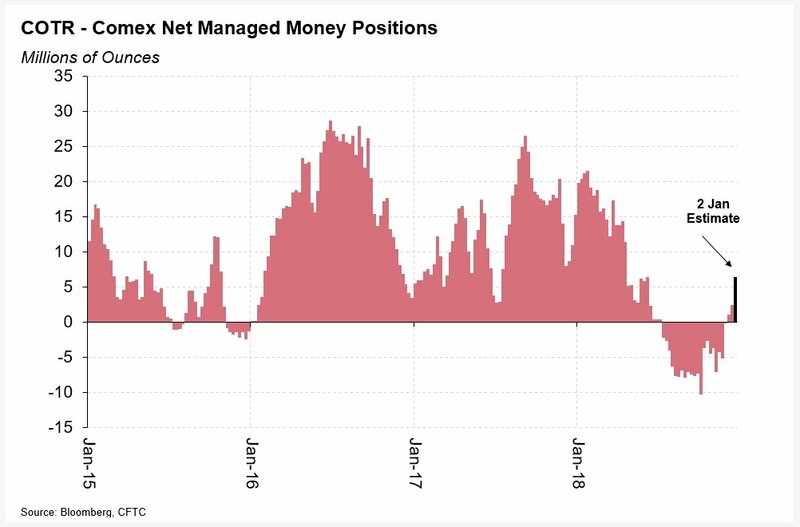 The net short Managed Money position declined slightly, but changes were few and far between. 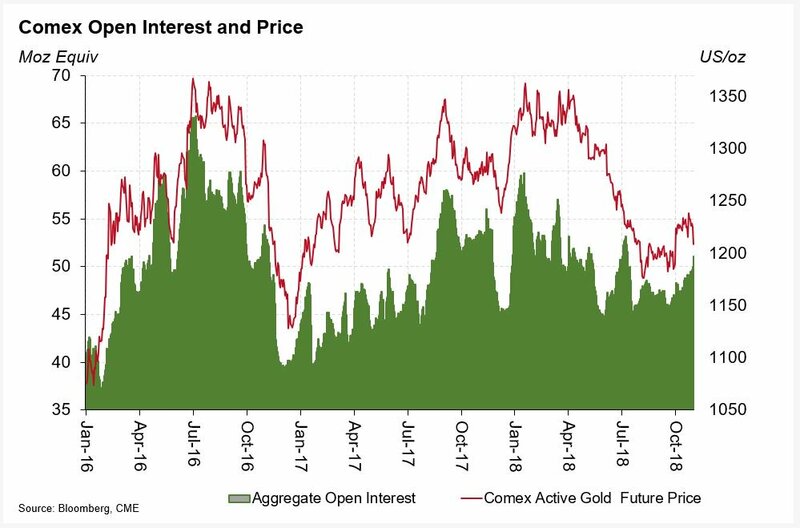 Gold: Changes in Comex #gold open interest data over the past few days – particularly for Friday’s session – suggest that new shorts entered the market late last week (and thus not in the COTR data for last Tuesday). 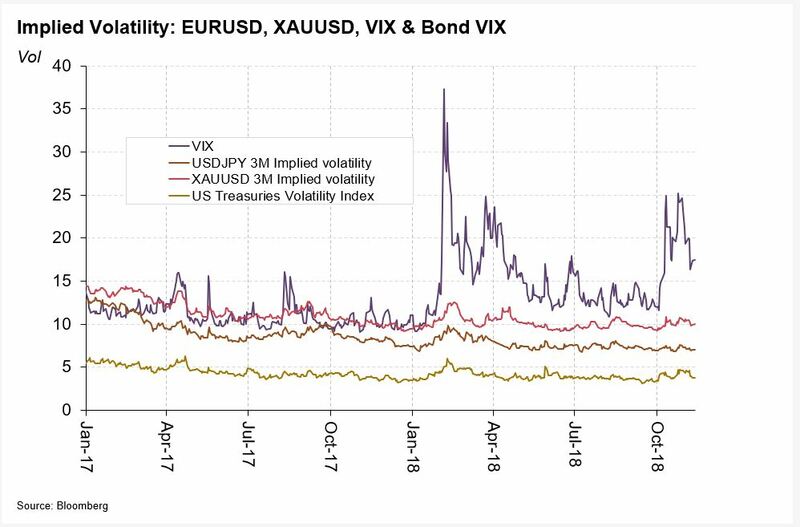 Gold: Although the S&P remains off 2018 highs and VIX is elevated, there are signs that markets are calming somewhat. 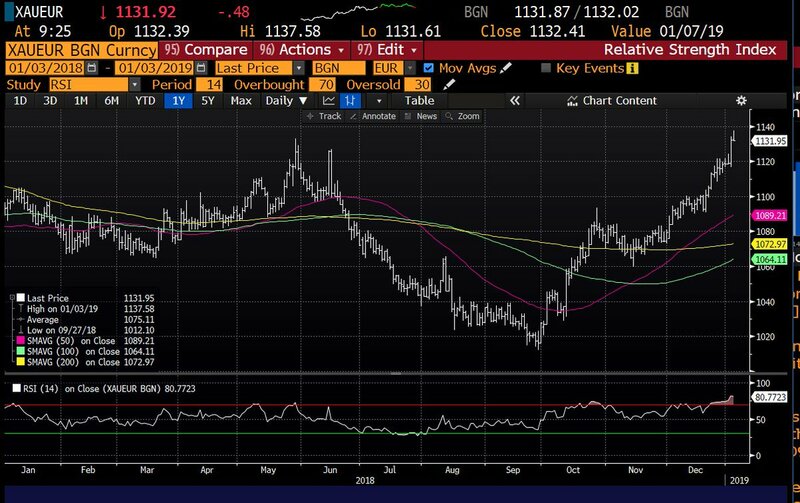 Short-term direction in #gold will likely be determined by the strength of the US$ and whether other asset classes continue to normalise or not. @threadreaderapp Good morning. Please unroll. Thank you. Gold: I find it ironic that that the government shutdown is making it 'harder' to trade #gold with confidence. The CFTC's commitment of traders (COT) report is delayed indefinately while the US government is out of action. Gold: Fortunately, Comex is not a government entity and continues to function. As you can see from here, open interest is reported daily and has increased quite a lot (4moz equiv) since 18 December. 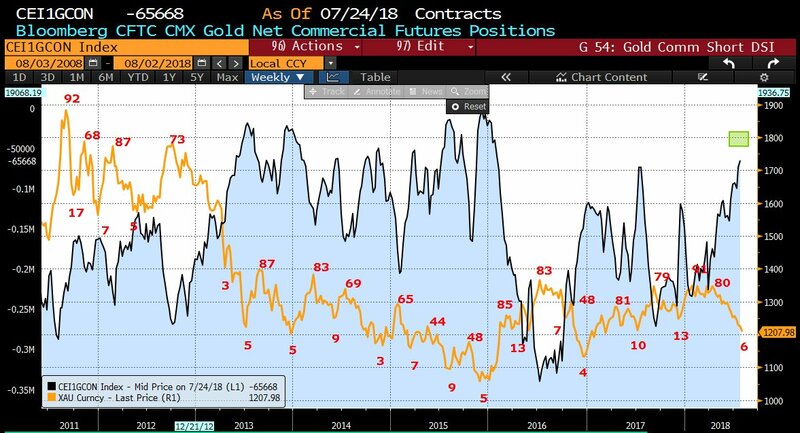 Gold: Simplistically, with gold prices going up and OI up, speculators are likely adding to longs, driving the OI change and helping the price move higher. 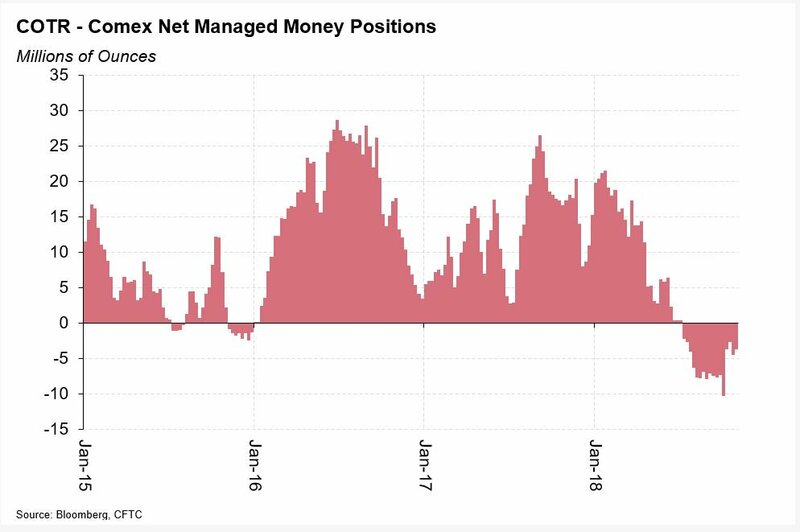 I estimate the net managed money long is now at least 6.5 moz but could be more if short covering has happened too. 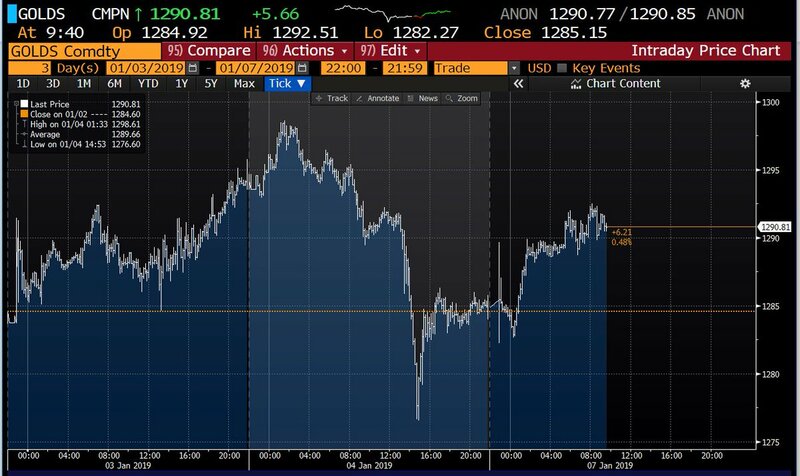 Gold: Quite a volatile session overnight in #gold following some wild moves in JPY. 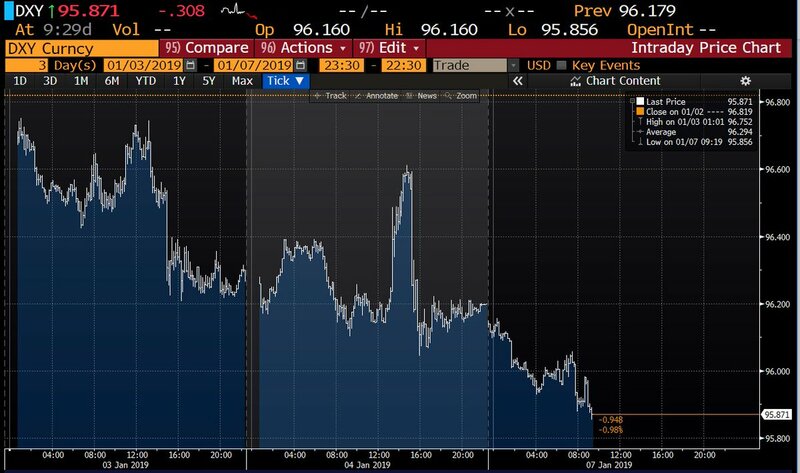 Commentators are struggling to explain the FX moves but concerns about global growth on Apple's cut in sales outlook and illiquidity due to a Japanese holiday seem plausible resaons. Gold: The daily picture is less noisy and #gold continues to move higher. The 14-day Relative Strength Indicator (RSI) in XAUUSD is beginning to look a little high, but not worryingly so. Gold: Looking at #gold in euro terms, however, and it looks more extended with the 14-day RSI above 80. 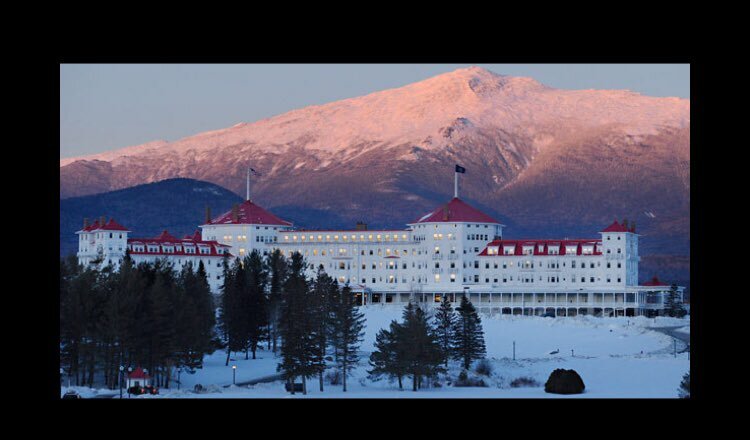 In early October 2016, myself, & 2 high level prophetic voices (from USA) were led to go (in a subtle manner) and pray inside the #GOLD room of the luxe Mount Washington Hotel in Bretton Woods, NH, located in the Presidential Mountains. This was the site of the Bretton Woods Conference from 1944. Otherwise known as the VERY formation of the IMF, the International Monetary Fund. In that moment, we read and decreed a divorcement from Ba’al over the IMF. We decreed a 100% breakthrough and shift over the corruption with the IMF, world gold reserves, and the FED. 2/ To begin, it's important to understand the universal accounting identity: Assets = Debt + Equity. Today, it's true that all fiat money is debt-based. But before exploring fiat money, let's look at asset-based money. 3/ Traditionally, commodity money has been asset-based, most notably gold. Gold is a true asset of the holder. If you own gold free and clear, it is your asset, and no one else's debt, no one else's liability. Bought a lot of #gold today. Going home now because I think I might throw up. Gold vs Commercial Short position with Daily Sentiment (DSI) indicated in red. I'm estimating real time commercial shorts are now less than 50k (green box) and maybe even lower. 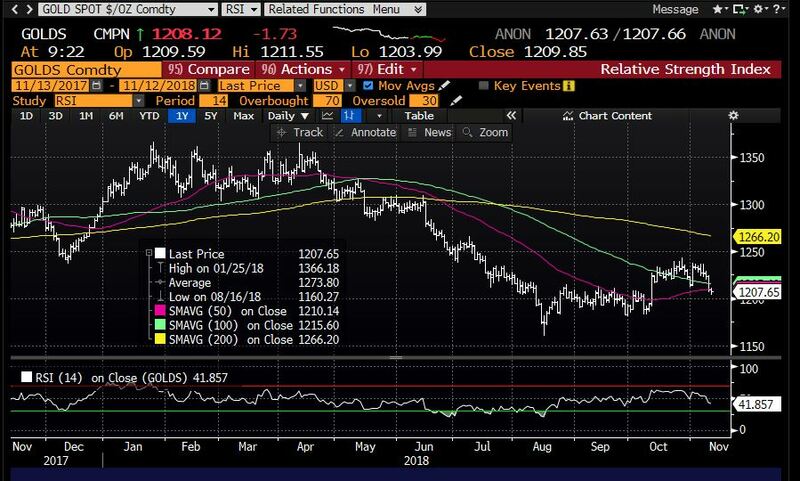 1/ I have received so many DMs, emails and phone calls regarding the initial tweet about #Gold (above from Thursday) that I’m going to try and explain my thinking here. Hopefully it translates into a coherent answer. 1) @Gold_AntiTrust is frustrated James Grant doesn't know central banks manipulate #gold. Ea day in London, 220M oz of unbacked gold debt instruments are traded primarily between bullion banks. Est'd 500M oz open int. claims in spot contracts. 2) In 1985, Larry Summers' paper identified neg. correlation w/ real interest rates "dominant feature of gold price fluctuations". In 1987, Bank of England created the LBMA (90% of global gold trade ea day) trading unbacked paper #gold. 3) Suppress #gold and interest rates can be suppressed (shut down gold alarm system). Lower int. rates cause speculation / mkt bubbles.